Kraemer Burns is a firm of practical, experienced lawyers. Our lawyers view and analyze business transactions and potential litigation from a "real world" working perspective that goes beyond the narrower lens of the law. The goal at Kraemer Burns is to achieve the best result in the shortest time and in a most cost effective way in proportion to the size of the transaction or complexity of the litigation. At Kraemer Burns we make it our business to understand your business and needs, so we can direct our efforts to achieve your goal. We operate on one fundamental principle: do the job right and do it cost effectively. Our clients value us for our practical approach and we always put the needs of our clients first. Kraemer Burns is cost effective because our lawyers are experienced and do not start from scratch in handing a business transaction, litigation, real estate deal or estate plan. The size of our firm permits us to be "hands on" and not place layers of attorneys to work on your matter. At Kraemer Burns our greatest asset is the ability to deliver the quality counsel of a major full-service firm with the advantages of a smaller firm: reasonable cost, efficiency, personal contact, prompt response time, and strong client commitment. Combining the latest technology with traditional values we have adhered to since our founding in 1937, our business and litigation attorneys work as a team to help our clients reach practical solutions. For many of our business clients, we serve as their corporate legal department. For other clients who have their own in-house counsel, we serve as an adjunct to their legal department by providing expertise that they might not have or assisting as needed in litigation or business matters. 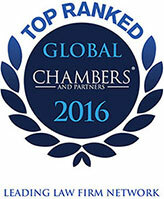 Kraemer Burns is a member of Mackrell International, a Chambers rated global association of more than 90 independent law firms with more than 170 offices in 60 countries. Through Mackrell International, Kraemer Burns provides our clients with access to the expertise of 4,500 attorneys around the world. The lawyers of Mackrell International's member firms are seasoned professionals, highly experienced, able to meet our clients' complex global needs. For more information about the global reach and advantages for Kraemer Burns clients of Mackrell International membership, please click the link below. Our firm offers a wide range of legal services, including litigation, corporate, transactional, banking, land use and zoning, wills, trusts and estate planning. See our Practice Area that may be relevant to your particular interest or need.